Naperville, IL is renowned for its affluent population and the home it provides to some of the world’s largest technology companies, but its proximity to I-88 and neighboring Aurora have made it a relevant contributor to the transportation industry as well. Millions of trucks travel through the greater Chicago area along I-88 each year and many of these trucks make their stops in at Naperville’s warehouses or its Kraft production plant. 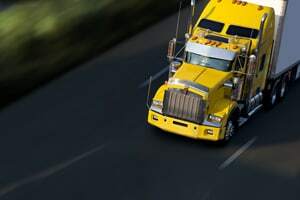 The high volume of trucks sharing the roads with Naperville’s drivers places them at risk of being involved in an accident, and the Naperville truck accident attorneys of Rosenfeld Injury Lawyers LLC are the leading representatives of those who have been injured due to the negligence of a driver or trucking company. Technology giants such as Bell Labs, Alcatel-Lucent and Tellabs provide Naperville with its prestige and make it home to numerous affluent white-collar workers and many people remain oblivious to the fact that Naperville is heavily involved in industry and transportation as well. ConAgra, Kraft Foods and BP America all have homes within Naperville and use their locations to store and distribute products. The Kraft Foods plant has existed since 1968 and produces every box of Triscuits distributed on the North American continent. Trucking companies are the primary source of distribution in the Chicago area because Chicago and its suburbs receive more goods via rail than are sent. Logistics companies store and ship products that have arrived as they are needed across the country— most often on trailers delivered via semi-tractors. In January of 2014, a truck driver collided with a stalled truck and caused a multi-vehicle accident, claiming the life of a tollway worker and severely injuring a State Trooper. The driver had falsified his logs to work more hours than allowed by law and the accident was the result of his operating a truck while extremely fatigued. While the driver was charged with multiple offenses, the case revealed that the driver’s employer might have been complicit in the negligent behavior that the driver exhibited. Renato Velasquez, the driver at fault for the accident, worked for DND International, which is a transportation company based out of Naperville. On review of DND International’s history, it was discovered that the company has one of the worst safety records in the nation. It scored lower than 93% of the trucking companies operating in the United States. In the two years preceding Velasquez’s accident, DND International had been cited on over 100 violations and drivers were caught working beyond their allowed hours of service and falsifying logs on numerous occasions. Operating a vehicle while tired has similar affects to your reaction time under the influence of alcohol and studies have shown parallels between tiredness and drunkenness behind the wheel. Not only does it take longer to notice and react to potentially dangerous situations when tired, but you are prone to make poorer decisions when fatigued than when you are well rested. Large semi-tractors carrying loaded trailers also require longer stopping distances and are capable of pulverizing most of the vehicles they may encounter. This results in serious and life-altering injuries that include the following. Injuries to the spine, neck, and back, often resulting in paralysis. Deep lacerations, puncture wounds and mutilation of limbs. Crushed bones and compound fractures. Don't Go It Alone. Get Help From Naperville Truck Accident Lawyers Now. The Naperville truck accident attorneys of Rosenfeld Injury Lawyers LLC are passionate about finding justice for those who have been harmed in preventable accidents because of reckless behaviors driven by corporate greed. Our team is comprised of the finest specialists in accident reconstruction, medicine, rehabilitation, economics and trucking law and has been able to maximize the amount of compensation many clients like you have been able to receive due to negligent truck driving and company policies. Contact us now to arrange a free consultation to learn more about how we can put our team to work for you.